DutchChannels has chosen Axinom to build a fully managed, end-to-end platform for launching cutting-edge video services for niche, branded and independent channels, becoming the first Benelux service operator providing services built on the Axinom platform. The new VOD as a Service offering includes online audience building, payment services and content management. Axinom, a leader in software development serving global brands in media and entertainment, announced today an API integration between its Axinom DRM, multi-DRM (digital rights management) service and Amazon Web Services (AWS) Elemental MediaConvert and AWS Elemental MediaPackage. The API integration enables customers to securely deliver premium live and on-demand video content to users by leveraging the robustness, efficiency, and reliability of cloud technology. Axinom is part of the new UON connectivity partnership with Taqnia Space to offer Live TV streaming services to passengers’ mobile devices. UON is Taqnia’s new satellite-based in-flight entertainment and connectivity service, which will be launched by Saudia Arabia’s flag-carrying airline Saudia in the second quarter of this year. Axinom’s approach of delivering a comprehensive OTT video platform that consists of individually usable components pays off as more major customers switch over. New versions introduced at NAB. At Aircraft Interiors Expo 2018, Axinom will introduce a new solution for Live TV to Aircraft, based on a unique concept in the aviation market that provides a high-quality live streaming experience on-board of aircraft. Under this approach, Axinom presents its smart traffic management technology as a way to optimize satellite bandwidth consumption of on-board Live TV. České Radiokomunikace (CRA) has selected Axinom DRM service to power its OTT solution based on CRA Media Cloud platform. České Radiokomunikace belongs to the leading telecommunication companies in the Czech Republic. It offers a unique TV, radio and Internet infrastructure that enables delivery of high quality media content and provides the reliable and most up-to-date IT services. Zee Entertainment Enterprises Ltd. (ZEEL), part of Essel Group and one of the leading media companies worldwide, has selected Axinom to power the backend of its new digital entertainment platform ZEE5, which is poised to be the largest OTT service for Indian entertainment in the world. Optus, Australia’s second-largest telecommunications company, partnered with Infinit Group, a Singapore-based system integrator, to exclusively provide football fans in Australia access to English Premier League (EPL) games through live video streaming secured by Axinom DRM. We look forward to sharing the latest developments in our product portfolio for Online Video Platform (OVP) solutions with you. Here´s a sneak peek of what you can expect to see at Axinom booth H15 in Hall 14 from September 15th to 19th. Axinom, one of the leading software development companies in Europe and North America, and Infinit Group, a Singapore-based system integrator, announced collaboration on the first mobile hotel entertainment system in South-East Asian region. 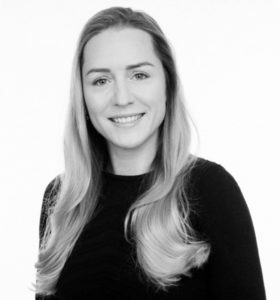 The new solution will allow hotels [in Myanmar] to offer a unique portfolio of branded OTT entertainment services and improve the operational efficiencies. Axinom, a leading software solution provider in premium video management, is helping power OTT video streaming services for Cinedigm (NASDAQ: CIDM), a leading independent content distributor in the United States. With Axinom CMS, Cinedigm is able to automate and simplify their content management workflows enabling them to easily manage multiple OTT channels.With an extensive content portfolio of standard definition and high definition titles across all key mobile and set-top platforms, Cinedigm offers its video streaming service as both an Advertising-supported Video on Demand (AVOD) and on a Subscription-based Video on Demand (SVOD) model. By deploying Axinom CMS, Cinedigm will immediately benefit from the increased operational efficiencies created by the system´s automated workflows and offer high scalability and increased flexibility of its video-on-demand platform. At this year´s NAB Show in Las Vegas, Axinom will showcase its product portfolio which serves as a powerful foundation for building the next generation of online video platforms and customer solutions for management and delivery of premium live and on-demand video. Axinom team will demonstrate all capabilities of Axinom content management system (Axinom CMS) which comes powered by new workflows for subscription-, advertising-, transaction-based models, as well as for live streaming. In addition, visitors will hear more about Axinom´s multi-DRM service capable of delivering thousands of licence requests per second, with 99.99% requests served in less than 200 milliseconds (for customers that have over 10 million requests). At Aircraft Interiors Expo 2017 in Hamburg, Axinom will introduce Axinom Video Ingest and Processing (VIP), a new component in its software solution portfolio. Advancing the Digital Platforms strategy, Axinom VIP brings a faster content approval by content providers, speeds up the content updates, significantly reduces technical challenges related to content preparation and distribution, and allows faster time to market with reduced costs. With this partnership, both companies will accelerate the delivery of advanced OTT media solutions for the South-American market. The new collaboration enables Green Blue Technologies to offer its integration capabilities and professional services on top of Axinom´s products: Axinom CMS (Content Management System), Axinom DRM (Digital Rights Management), Axinom VIP (Video Ingest and Processing) and Axinom CDS (Content Delivery System). It’s the ninth annual installment of the only awards program in the online video industry in which the readers have the say by selecting the products and services that have most impressed you over the past year. RM LLC, one of the leading Russian transport infotainment system providers has selected Axinom to build a new digital platform for the Russian Railways´ high speed train Sapsan. The platform will serve all Sapsan high-speed trains commuting between St. Petersburg and Moscow. 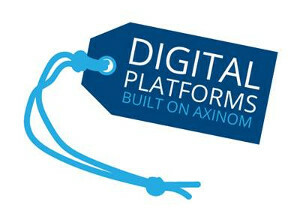 Digital platforms built on Axinom approach allow customers to cover the full end-to-end media workflow with a comprehensive set of core products for the usage scenarios in the cloud, on-premises, and offline. At Microsoft Ignite 2016 conference in Atlanta, US, Axinom announced free Microsoft Visual Studio workflow projects for Axinom CMS framework and Microsoft Azure delivered in source code. This offering allows Microsoft Azure cloud customers to develop a full-featured backend content management solution for end-to-end OTT video management in the cloud. Axinom is releasing Axinom CMS in the Microsoft Azure Marketplace, a turnkey solution for ent-to-end OTT video management based on Microsoft Azure, during IBC Show 2016 in Amsterdam (September 9-13). Get the edge to innovate, compete, and win in a world of new opportunities. Connect services, assets, and people across your business with proven industry-specific architectures and technologies. Axinom is releasing Axinom CMS in AWS Marketplace, a turnkey solution for end-to-end OTT video management in the cloud, during IBC Show 2016 in Amsterdam (September 9-13). Our ability to connect is the root of our ability to communicate, innovate and progress. But with the explosive amount of data needed for both new devices and applications already today, we need to invent, build and share solutions for future challenges that have yet to arrive. With this partnership both companies will accelerate customer delivery of a complete end-to-end video solutions. Better Software Group´s PlayBetter™ application platform has been integrated with Axinom Content Management System (CMS) to provide mutual customers with compelling solutions for video and entertainment platforms. Unified Streaming has partnered with Axinom to integrate multi-DRM capabilities with Axinom DRM unified API into the Unified Streaming Platform (USP) offering. Axinom announced the new Axinom CMS Media Template and Multi DRM service with Apple FairPlay Streaming enabling media agencies and service providers to build the next generation of OTT and TV Everywhere services. Both products will be showcased at NAB Show in the South Upper Hall at booth 12005 CM. Microsoft’s ongoing commitment to secure, user-friendly protection of content and cross-platform capabilities inherently positions Microsoft PlayReady DRM as a key enabler for the media and entertainment industry. Customers using Axinom DRM 6 with PlayReady 3.0 support are empowered to license a wide range of 4K Hollywood premium content for a variety of consumer devices. The APEX/IFSA EXPO is the only event exclusive to experts and decision-makers committed to elevating the level of the airline passenger experience from around the world. It is the industry’s premier event featuring the latest and most comprehensive display of airline related technologies, products and services covering these core areas. Axinom, a leading technology provider in Europe and North America, today announced the availability of the next generation of its award-winning Axinom CMS covering the full end-to-end OTT media workflow with an extensible OTT development platform for service providers. During IBC Show 2015 in Amsterdam (September 10-15) Axinom is releasing the brand new multi DRM service Axinom DRM 6 running on Microsoft Azure and featuring built-in support for Microsoft PlayReady and Google Widevine DRM. The support for Apple FairPlay DRM will seamlessly follow after the IBC. 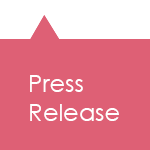 Notice: this press release is published only in German language. We believe that technology solutions that will triumph in the multi-platform environment will be those that allow customers to quickly launch converged OTT video services and to offer on-demand and live content to any device. It the reason for Axinom to emphasize two vital aspects of the end-to-end OTT media workflow with our product portfolio: digital asset management and delivery based on Axinom CMS, and content protection and licensing based on Axinom DRM. Axinom’s OTT portfolio in the cloud features content management (CMS), digital rights management(DRM) and pre-built reference applications (Apps) for Smart TV, game consoles, PC and mobile platforms. During ANGA COM in Cologne Axinom allows interested parties to get a first glance at Axinom DRM 6, a robust and highly scalable multi-DRM service built on latest standards including MPEG-DASH, Common Encryption and Encrypted Media Extensions. Nach erfolgreicher Projektarbeit verstärken Axinom und coeno ihre Zusammenarbeit. Die UX-Agentur coeno ist vom 9.-11. Juni 2015 am Stand des auf interaktive Media- und Web-Content-Management-Lösungen spezialisierten Full-Service-Providers vertreten. Aventus Adds a Flexible, Cloud-Based Live Streaming Service to Axinom’s OTT Portfolio for Content Owners and Distributors. Gemeinsam decken die beiden Partner den kompletten Medienworkflow ab – von Transcoding, OTT-Asset-Management und DRM bis hin zu Apps mit MPEG-DASH-Player. Tune in to Fox Business Network (as pd. prog.) and Bloomberg International (as pd. prog.) on Sunday, May 17, 2015. See market by market listings below.